Zemas Pancake Mix. Yes, Please. Well, it appears that yesterday was National Pancake Day. Unfortunately I didn’t realize this until the middle of the day. 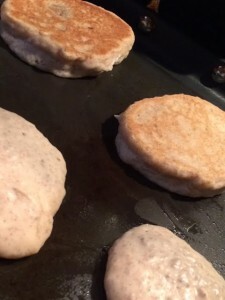 Fortunately, there are 364 other days of the year when pancakes can also be on the menu! Unfortunately I haven’t yet found a pancake mix that is whole grain, gluten, dairy, rice, and soy free that my whole family loves. 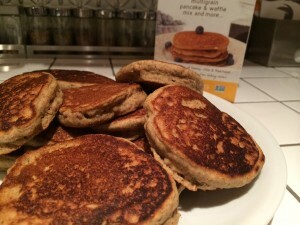 Fortunately Zemas sent me some of their pancake mix to try and I was pleasantly surprised that everyone loved it. The box they sent had a gazillion coupons in it (if any of you are in Portland, feel free to swing by my office and grab one! 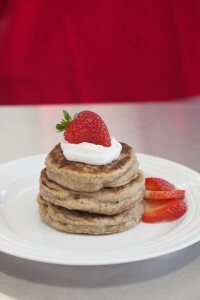 ), a box of the Multigrain Pancake and Waffle mix and 4-5 small trial packets of the Cocoa Teff Pancake and Waffle Mix. We (we being my husband and my son) had the Cocoa packets first as it was very convenient to make the small batches on school days. A later email from my friends at Zemas informed me that those were supposed to be to give to patients but who’s going to blame me for not knowing that ahead of time? Anyway, I digress. As for which we preferred, since we started with the cocoa I thought perhaps my 7-year old was just thrilled to have chocolate in his breakfast but it turns out he liked the Multigrain cakes just as much. That said, I’d still pick the Cocoa version because of the 6 grams of fiber per serving. Love that! Overall a double thumbs up on both of them. You can get the products at any New Seasons Market store in Portland. 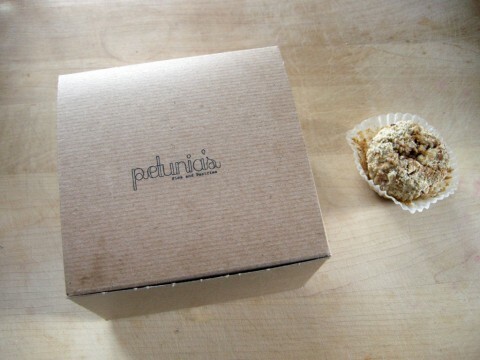 Thanks Zemas for sending the goodies and for making such a delish product. 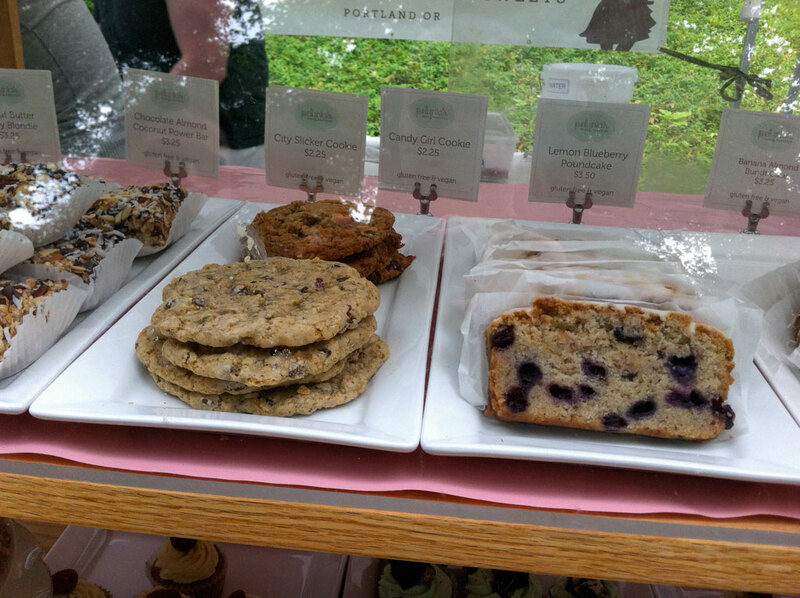 There are so many amazing local products that I’m bursting at the seams to review for you here at Gluten-free Portland. I’ve got a list and a line up and we’ve reorganized the site so you will be able to get to them all easily (check out the nav bar, above.) Still working on the back end stuff- and a new look for the site. It’s all volunteer so it’s taking a little longer than I’d like. Well, a lot longer, but please bear with us- the end result will make you very happy, I promise. Ok, so back to the products thing. I was just going to do local products. But then I was eating an amazing cracker from Washington. And I thought well, that’s close enough. But then I got a large, very cold, and relatively heavy box from Texas. Inside a heap of dry ice and 3 boxes of Ruby’s Rockets Fruit and Vegetable Pops. (I’ll add here that until I sat down to write this post I had no idea that Popsicle is a brand, not a category of treat, go figure…) So I decided that I’m also going to review cool new GF products- no pun intended, we’ll also review cooked products- from anywhere, they just won’t be listed under local, I mean, if we can BUY the products here they’re good for Gluten-free Portlanders. Now, how about those Ruby’s Rockets? “Looking for organic ingredients? Over 70% of our ingredients come to us from organic growers. We’re the first pop of this kind to offer probiotics. The only colors you see in our pops are the beautiful colors of the fruits and vegetables themselves: the kiwis, spinach and avocados in Galaxy Green, the strawberries, carrots and beets in Rock-It Red, and the yams, oranges and carrots in Orbit Orange. ROCK- IT RED — Only 2 grams of sugar and 25 calories! GALAXY GREEN — Only 1 gram of sugar and 35 calories! We all agreed the Rock-It Red was most like a typical pop in flavor (dare I say popcicle?.) Lightly sweet. Berry flavor. Karen thought it was “light and refreshing.” I didn’t taste the orange but the general consensus was that it tasted like a “frozen smoothie.” The Galaxy Green was light, less sweet, and my favorite. When David brought our mail the next day we chatted about them a little more and we agreed the take home is that they’re very good and that kids wouldn’t know that they had veggies in them if you didn’t want them to know. I might disagree with that re: the green pop as it has a texture to it but I don’t really think that matters at all. As for the little one (he’s almost 7) the Galaxy Green didn’t go over well. And I don’t think it’s because of the veggie factor. This child eats his greens hand over fist. Not quite sure what the issue was but just not his thing. After he tried it we left to walk to a neighbor’s house and he mused “they should make a red one with beets.” Funny enough, child, they did! And he got that one later in the day. Here’s what he thought about the Rock-it-Red flavor. And he’s right, you can taste the beets in there. The sweet yummy part. 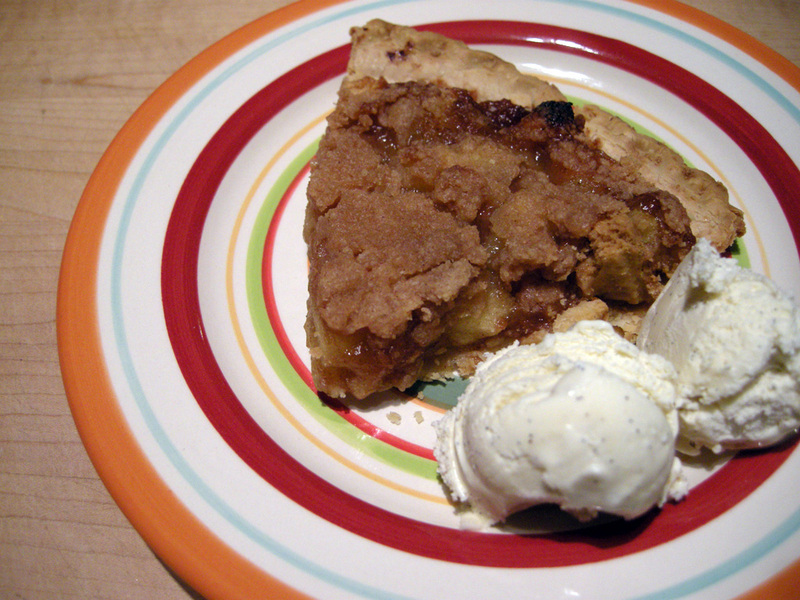 Gluten free apple pie a la mode, that’s what we’re talking about here. Whole Foods has a bunch of gluten free items now which are produced in a dedicated gluten free facility, so they’re not a source of worry for people who are very sensitive to gluten. The ingredients are posted on the package. We’ve found that there are two sizes of these apple pies, and have to admit enough experience with them to say that the smaller sized pies are better for some reason. Both are really amazingly delicious. 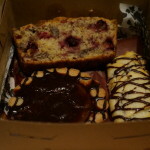 While we’re talking about pies, let’s digress a little bit and mention that some of the gluten free bakeries around town can supply pies. 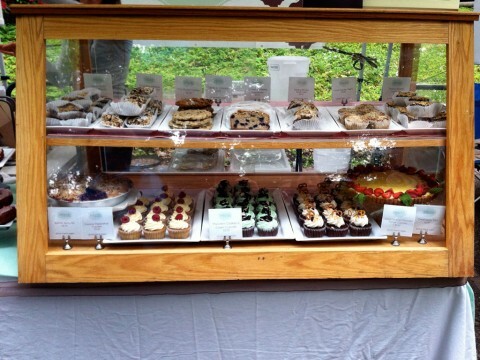 We’ve sampled pies from Crave Bake Shop and also a pie crust from Gluten Free Gem and can vouch for both. The second part of our apple pie a la mode is the ice cream, supplied by Portland’s own Fifty Licks (their website currently appears to have been hacked – so look out). When I was a kid, I remember my parents making ice cream in an old hand-cranked ice cream maker. To get the ice cream cold enough, you had to put salt and ice into the bucket, and then everybody took turns cranking it. The vanilla ice cream recipe was almost like a custard. 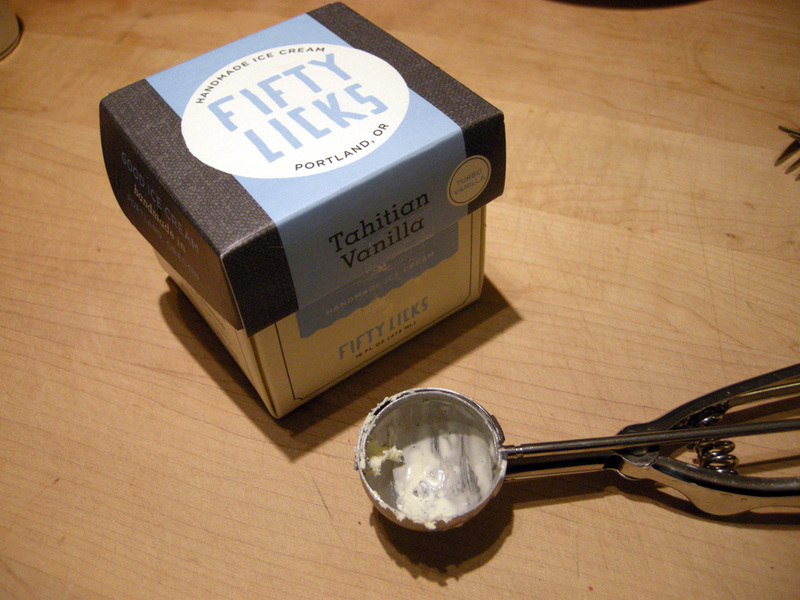 This Fifty Licks Tahitian Vanilla ice cream is the closest I’ve eaten to that kind from my childhood. I love it! Queen of Hearts Baking Company emailed us recently to invite us to try their gluten-free pies. 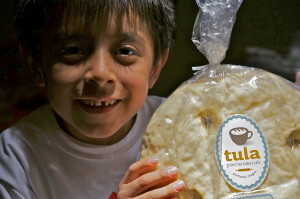 The owner, Molly Thurston Parker, recently launched a wholesale bakery to sell her pies, which are individual-sized. She sells the pies at the Buckman Farmers Market (SE 20th and SE Salmon, Thursdays, 3-7pm), at Salt Fire and Time Community Grocery on NW 24th Ave, at Pacific Pie Company on SE 7th, and at Flying Cat Coffee Shop on SE Division. 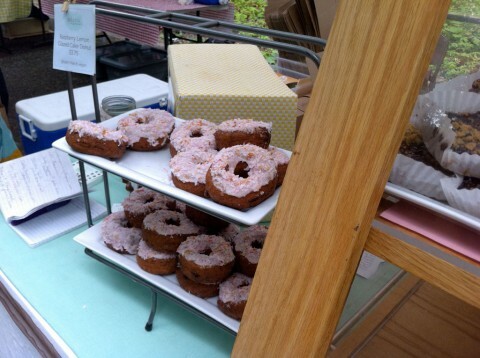 When you go to the Buckman Farmers Market, it’s usually Molly who is there working the booth. Queen of Hearts makes both savory and sweet pies. We stopped by the stand a couple of weeks ago and picked up some pies (which, in the interest of full disclosure, she gave us for free). 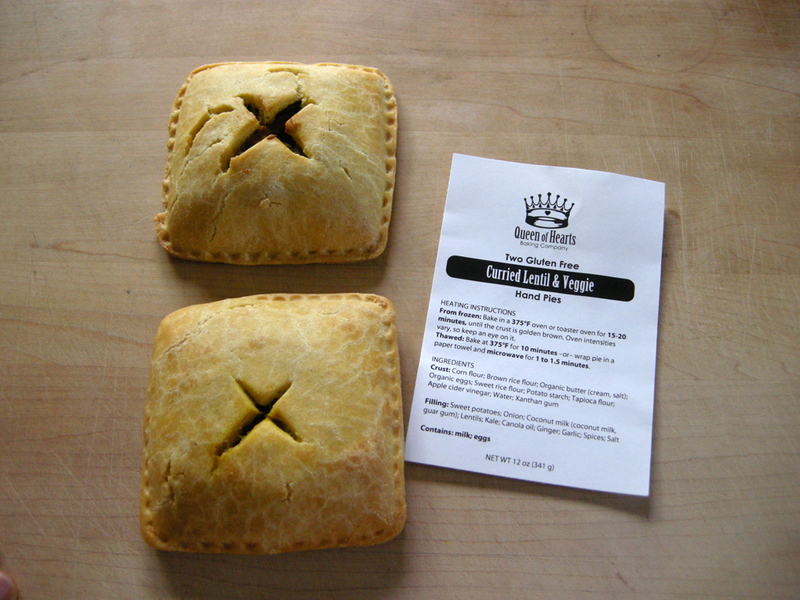 On the savory side, Queen of Hearts makes a Black Bean & Pepper Jack Cheese pie and a Curried Lentil and Veggie pie. On the sweet side, Queen of Hearts makes a Hazelnut & Apricot pie, a Mixed Berry pie, and a Nutella pie. We tried everything but the Nutella pie. The pies come packaged in twos. Each pie is an individual meal, and all of them are basically vegetarian. The instructions for cooking are quite simple. You can start from frozen or thawed, but basically you bake them in an oven at 375 degrees F until the crust is golden brown. 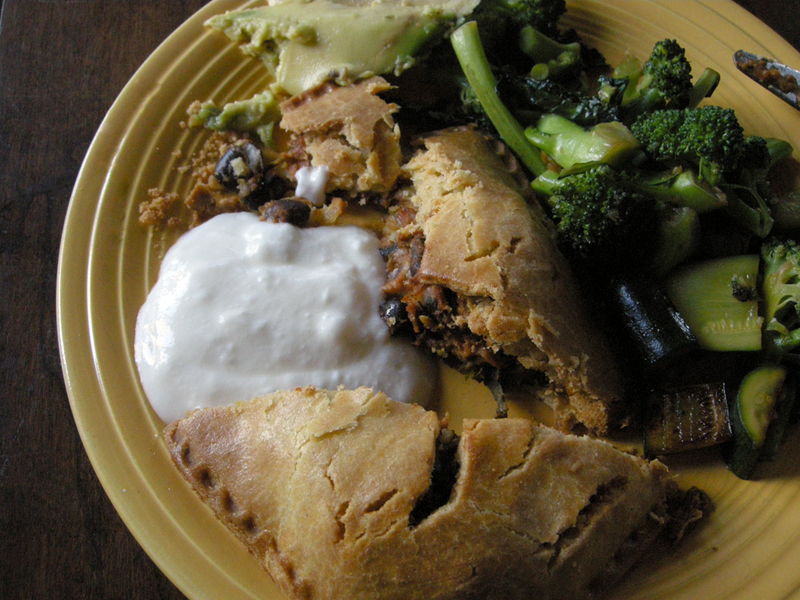 We ate both the savory pies with some sauteed veggies, but they would also probably be great with a side salad. 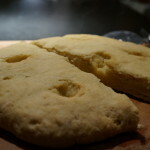 Considering we’re talking about pies here, the most important consideration is going to be the crust. 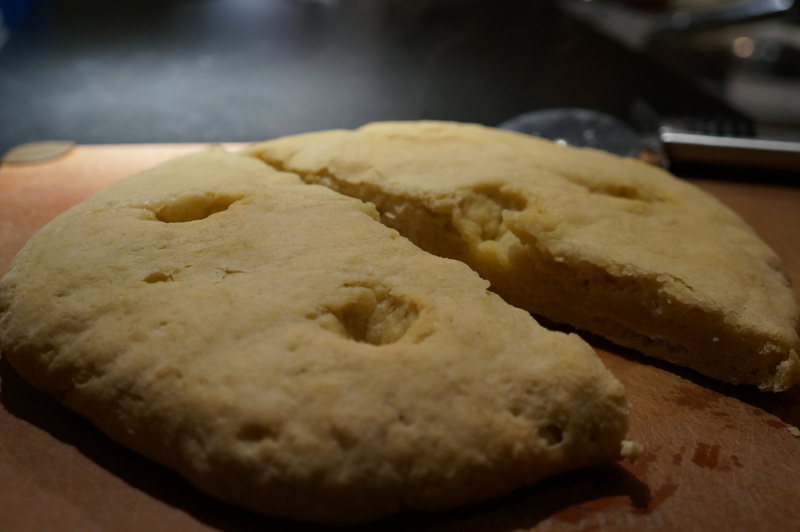 The Queen of Hearts crust is really excellent and amazing! It’s the exact kind of crisp and flavor a person wants from a pie crust. We were both really enamored of them, especially because so many gluten-free crusts are so disappointing. We both also agreed that we liked the savory pies more than the dessert pies. The Curried Lentil and Veggie pie is filled with sweet potatoes, onion, coconut milk, lentils, kale, ginger and spices. 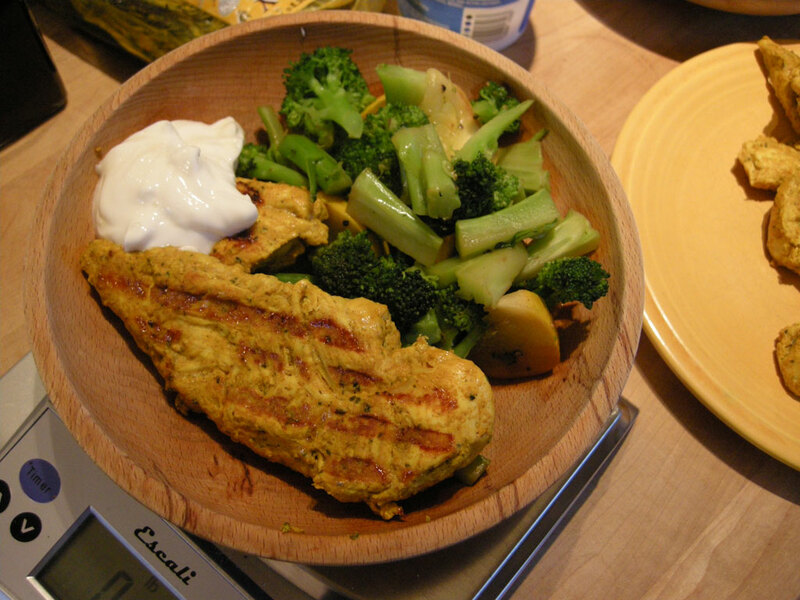 Like most curries, we found that the flavor and experience was better with some yogurt on the side to offset the curry. It would probably also be really nice with a chutney. If you’re a curry fan, then these are a real treat. Our favorite pie was the Black Bean & Pepper Jack Cheese pie. 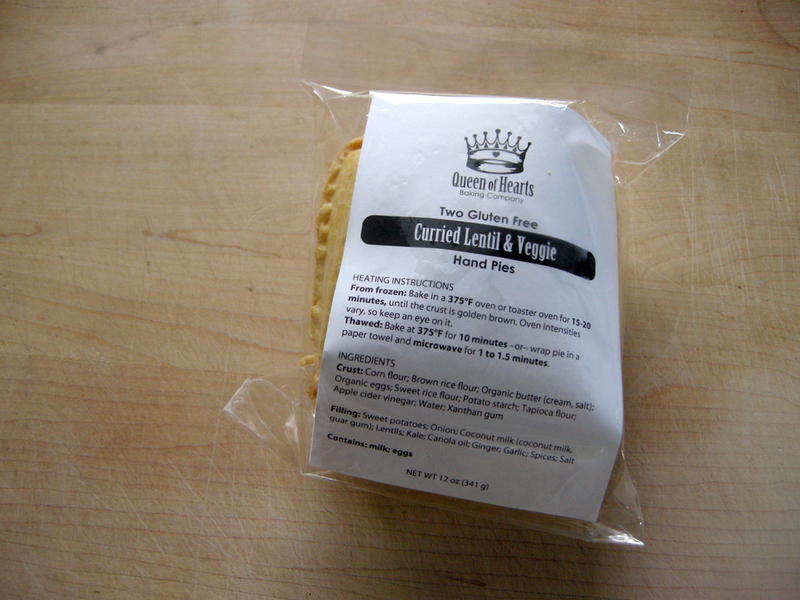 Besides the two ingredients in the name, these pies have tomatoes, green chiles, onion, spices, and pepper flakes. Besides broccoli, we added some yogurt here, too (instead of sour cream), and some avocado. 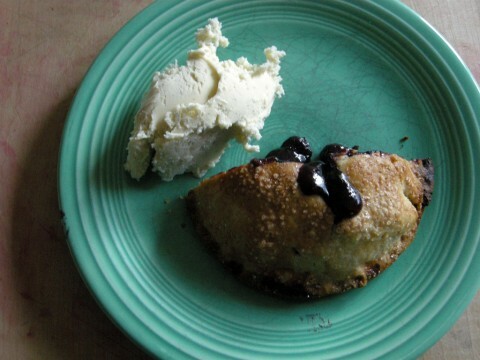 These pies have a great flavor and are the perfect level of spicy. 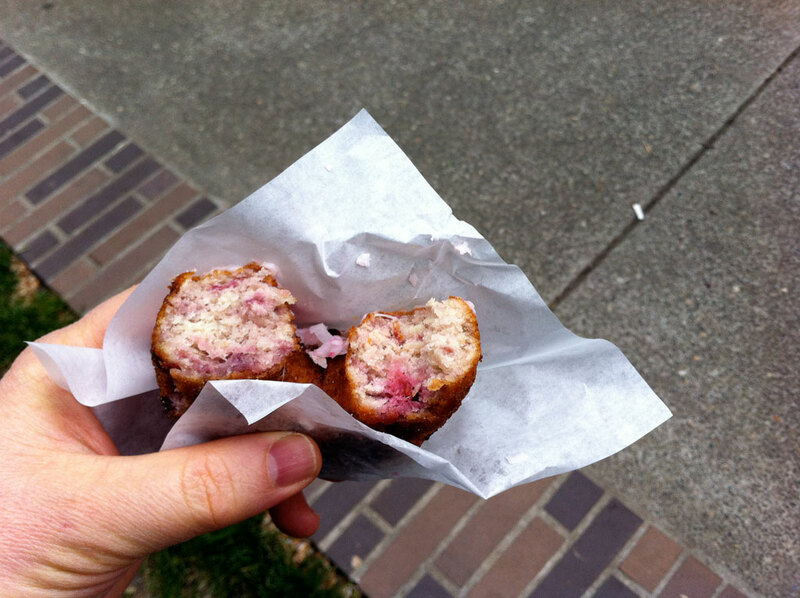 As mentioned earlier, we thought that the dessert pies were just OK. Pictured above is the Mixed Berry pie paired with vanilla ice cream from Portland’s own Fifty Licks. This pie is made with blueberries and marionberries. The Hazelnut & Apricot pies are filled with hazelnut frangipane and apricot preserves, which incidentally contained corn syrup, which we found a little confusing, considering that Queen of Hearts obviously tries to use healthy ingredients in their pies. The dessert pies were a bit bland. This might be one of those cases where the crust is kind of taking the edge off of the ingredients. We both found ourselves wishing that the pies were more tart, or maybe more sweet. 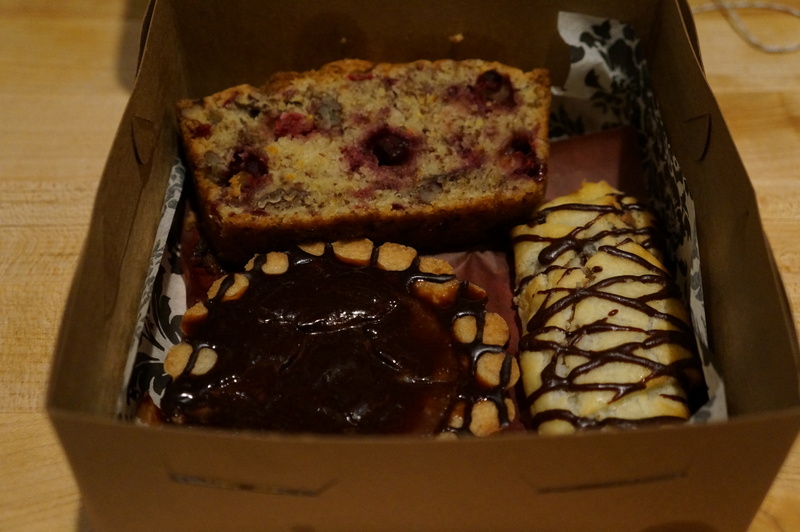 Our final verdict: We really enjoyed the savory pies and think that if you’re looking for something new, interesting, and gluten-free to take home and bake one night, you should give Queen of Hearts a try. Sweet pies are really subjective, so I’d be really interested to hear from any of our readers who have tried Queen of Hearts. Let us know in the comments! Editor’s note: I’ve been wanting to do a feature on gluten-free beers for a while now, but I’m really more of a hard alcohol guy. Fortunately, we were able to recruit Heather Marsh, who gathered some friends, drank a lot of beer, took notes and photos, and wrote the excellent review you’re about to read. Thanks Heather! When I moved back to Portland, I wasn’t much of a beer fan. I know, no one admits that. But it didn’t take very many dinners out with friends to be converted from no beer, to some beer, to being a genuine fan of beer. Our beer options in Portland are fantastic, and I was slowly learning to love the various flavors. Then I found out I was gluten intolerant. Then I found out I may be celiac. I’ve been gluten free for long enough that I can’t really remember what the beautiful Portland beer (that I was just starting to appreciate) tasted like. 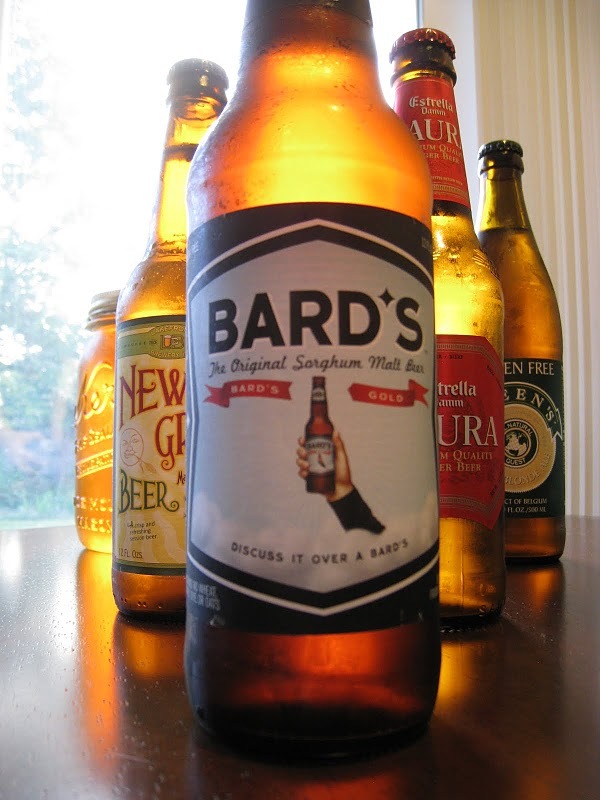 I’ve seen gluten free beers around town, and tried a couple. It was nice to have the option, but I was never terribly impressed. One day I decided to compare them, so I did an internet search and pulled together a couple GF options. My brother and I (both gluten free) had an informal tasting, for our own information. But due to our novice knowledge of this strange and wonderful beverage, we really only succeeded in selecting our favorites. After conversations with several gluten free friends, and after discovering a couple other gluten free beers, I decided I wanted to do a more thorough investigation. I’m including my findings here, but I highly encourage you to try this at home! Both for the sake of the knowledge it will provide you, and because it’s just plain fun. And your friends will think it’s the best idea you ever had. This pale, smooth beer has hints of apple. A mild, gentle flavor, with a bitter finish. Not bad, but it didn’t hit the top two list of anyone in the party. Also, I understand it’s made with barley, and has the gluten removed to under 6ccs. Not sure how that works for someone who is extremely sensitive, but it sounds like a risk that might not be worth it for the mild taste. I recommend hitting a hard cider instead if you want this sort of flavor. This one was much more complex than the Estrella, and didn’t have the bitter aftertaste. It was sweet, fruity, and smelled of apple. One of the tasters thought it had hints of vodka, but that could be from the high alcohol content. It was almost reminiscent of a sparkling wine. I really liked it, and I’m not usually a fan of the paler beers. Certainly the best bottle in class (lighter beers). I realize that doesn’t say anything about what’s inside, but hey! The beer itself is bitter, with layers of different flavors. Sawdust and peanut shell were both mentioned. We all agreed it has a strong wood flavor and it smells vaguely of tobacco, good cigars. I wasn’t crazy about it, but others enjoyed it. Someone else finished off my taster. This light, golden beer has more color than any of the previous selection, but it wasn’t our favorite. It has a citrus start, and a smoky, caramely finish. Its smell was described as olive oil and acetone (the main ingredient in finger nail polish remover… yumm?). No one finished their taster. A smoky smell and a heavier flavor. Tasted like caramelized molasses with hints of tobacco. Wasn’t my favorite, but certainly not bad. While not yet available in bottled form (although I have heard rumblings that they are hoping to start bottling eventually… fingers crossed for sooner, rather than later), I wanted to include this in the test anyway. I’ve had the beer in the Deschutes Brewery and Public House on NW 11th and Davis, and I love it, and when I called to find out how to get it “to go,” they assured me that they could fill any size receptacle (that seals), so I went in with my Mason jar and got a pint and a half. A little spendy, but I really think it might be worth it. The Deschutes was our pick for the Pale Ale lover. It had the 3rd best head, a bitter–lets call it tangy–smell, and had hints of grapefruit and bergamot in the flavor. 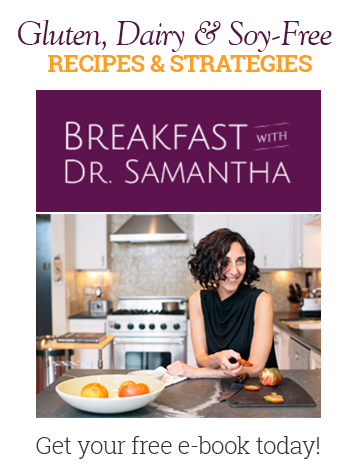 I have a vague recollection of tasting apricot when I had it with a burger at the restaurant, but no one could find that flavor when we did the tasting, so maybe the complexity is affected by food. Either way, it’s an absolutely lovely beer, and those in our party who love IPA were all impressed. Get yourself a jar (or if you can drink that much, a growler, they sell them at Deschutes) and pick some up, or just go down there and enjoy a great meal. They’re not paying me to say this… it really is just that good. This one has the second best head, a creamy white that sets off the amber of the beer itself. Even compared with gluten filled amber ales, this one got a very enthusiastic thumbs up. 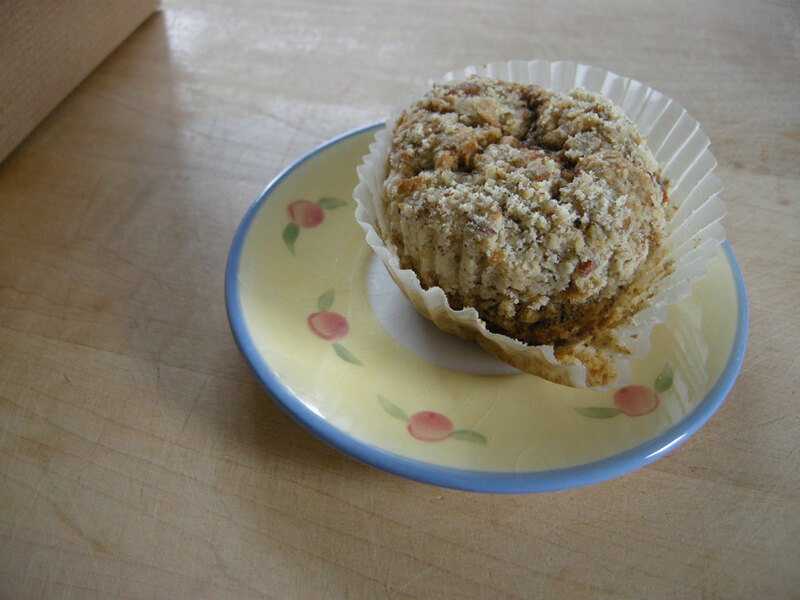 It’s tangy, with strong apple and gentle coffee flavors. Mild hints of caramel that linger and a malty twinge. A lovely, complex, flavorful choice. And, as with all three of the Green’s options, it comes in a 16.9oz bottle, so there’s more to share! There was no disputing it’s spot on the top three list. All of these options, with the exception of the Deschutes, can be found at various locations around our lovely city. I picked them all up at Beermongers on SE Division, which I love, because they have all of these beers, and because they’re friendly, and it’s on my way home. For more information on these beers, check out their websites, or the links below. The above are only the opinions of a panel of six judges, with varying tastes, so who knows what you’ll discover! 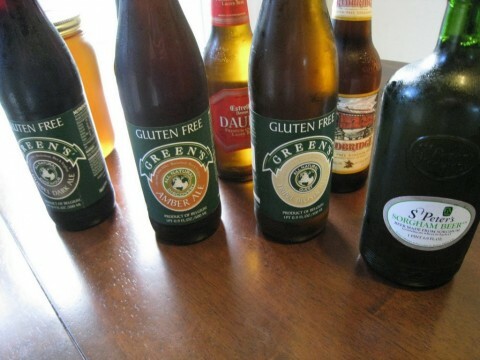 Gluten Free Beer Festival, compiled by a group in the UK. Not all of these options are available here in the States, but it’s fun to read, and they have ratings and explanations that might be helpful for others who are new to the beer scene! For more information on the gluten free Deschutes brew, check out these sites, far more knowledgeable than I: Review one. Review two. I decided to get straight to the point in my title. It’s been a long while since I’ve reviewed any Trader Joe’s gluten free offerings. We were looking for something new and exciting on a recent trip to Trader Joe’s. That’s one of the cool things about them. When you’re in a Trader Joe’s, you can stop about anywhere, spend a minute or two checking out everything around you, and find something new and interesting to try. I was in the meat department, looking at chicken parts, and this particular item demanded to be tried. 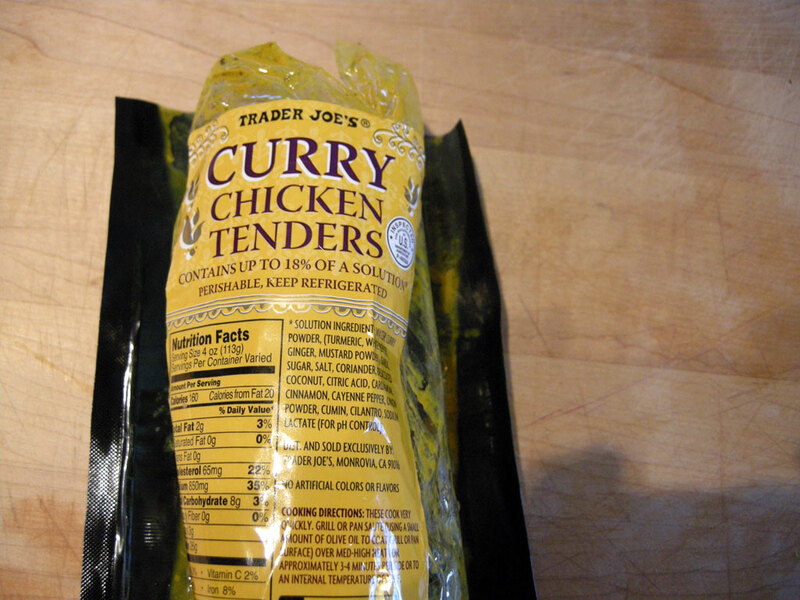 They’re Curry Chicken Tenders. And they have the Trader Joe’s “No Gluten Ingredients Used” mark on them. The only instructions they include with these amounts to: “Grill them.” Here are the ingredients: Water, Curry Powder (Turmeric, White Pepper, Ginger, Mustard Powder), Garlic, Sugar, Salt, Coriander, Dessicated Coconut, Citric Acid, Cardamom, Cinnamon, Cayenne Pepper, Onion Powder, Cumin, Cilantro, Sodium Lactate (for PH control). As can usually be expected with Trader Joe’s products, this all looks pretty straight-forward (except for the last ingredient) – until you notice how high on this list the salt appears. Of course, I didn’t notice this fact until it was too late. I do a lot of complaining about the salt content in Trader Joe’s products, but these are really off the charts. A serving size of 4 oz of chicken has 850mg (!!!!) of sodium. That’s ridiculous. It’s like eating a salt lick. Really. Which we didn’t realize until I had served up the curry chicken tenders. I served them up with some broccoli, squash, and yogurt on the side. I love curry with yogurt. Another thing that goes great with curries is dried cranberries. You should try it sometime. Unfortunately, this dish just plain did not work. Mostly because of the salt I just mentioned. We also both felt that this dish is a little heavy on the cardamom. 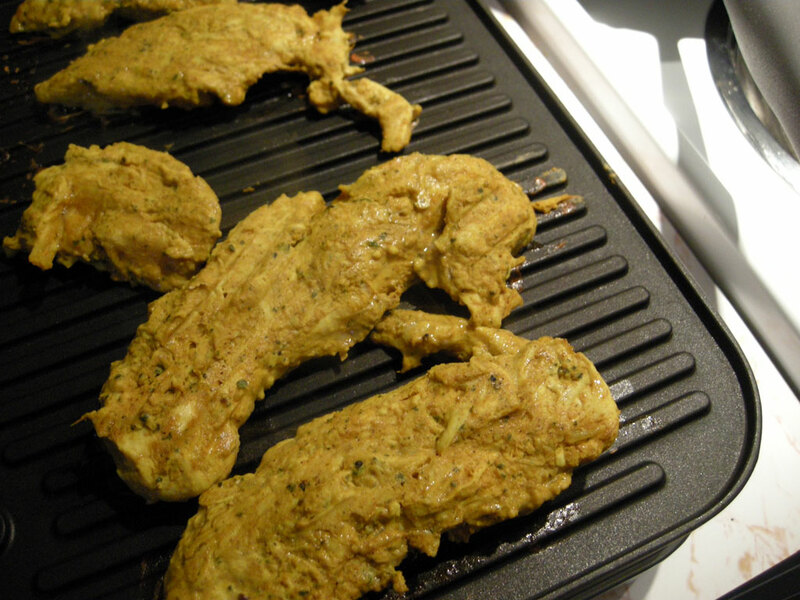 I really love cardamom, but in a curry I don’t usually want it to be the main flavor. It wasn’t inedible. But it wasn’t something we would want to eat again. We ended up with a bunch of leftover chicken from this, sitting in the fridge. I would love to take the credit for this amazing idea, but actually Sienna came up with it. Why not try the curried chicken in a sandwich? So here you have it. 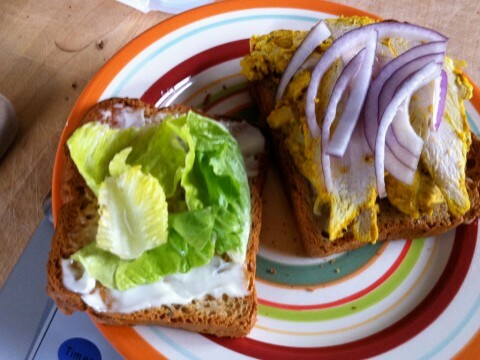 Gluten-free bread, mayonnaise, pieces of lettuce, red onion, and slices of the curried chicken tenders. This, my friends, is a good sandwich! Did I mention that the chicken comes out amazingly tender? It does. Must be like, practically brined. But we both totally recommend this for sandwiches.